Nicolina manages the day-to-day operations of the company's Sales and Marketing Department. Her responsibilities include recruiting, training and motivating sales personnel as well as reviewing and providing insight into market demographics, pricing, and competitive analysis. Nicolina also assists with managing the relationships with the company's various preferred lenders, title companies, and escrow companies. Nicolina has over 20 years of sales and marketing experience in the home building and real estate industry. Since 1986, she has served in a variety of management capacities for some of the industry’s leading real estate companies, including Prudential, The Ryness Company, Richmond American Homes, Forecast Homes, and the Olson Company. 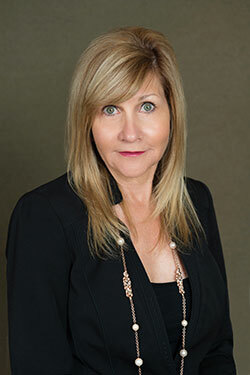 Currently a licensed California Real Estate Broker, Nicolina has served on the board of the Sales and Marketing Council for both the Inland Empire and Orange County regions. In 2003, while affiliated with Meritage Homes, she was named Sales Manager of the Year at the homebuilding industry’s Major Achievement in Marketing Excellence Awards.